Ever since 1998; the beginning of Pakistan’s nuclear age, the state’s self-defense mechanism has been a source of worry and unrest for India and the US. Both these states never really accepted that a small country like Pakistan could develop the prestigious asset and was now well capable of defending itself against external threats. US opposed the program because it had been tested after the signing of NPT and that it is an “illegitimate” program. Their fundamental concern was Pakistan not being a party to NPT and US non-proliferation efforts failing. India, though very much against the plan, could not openly oppose it on the same grounds because its Nuclear Program had the same issue, i.e., it was tested after the signing of NPT, and they had also not signed the treaty. There are a lot of ambiguities surrounding Pakistan’s nuclear program which are there intentionally for the benefit and security of the program and state. However, there is one thing which has been kept very clear since day one, and that is the Indo centric nature of Pakistan’s nuclear program. The program was developed because the conventionally strong next door neighbor had developed their plan. Pakistan, in an attempt to ensure national security, had to build its application as well. US, China, Russia, France or the UK were never a threat to Pakistan nor was Pakistan on their attack agenda. India, on the other hand, was in close territorial proximity, a historical enemy, conventionally stronger and now also a nuclear power. 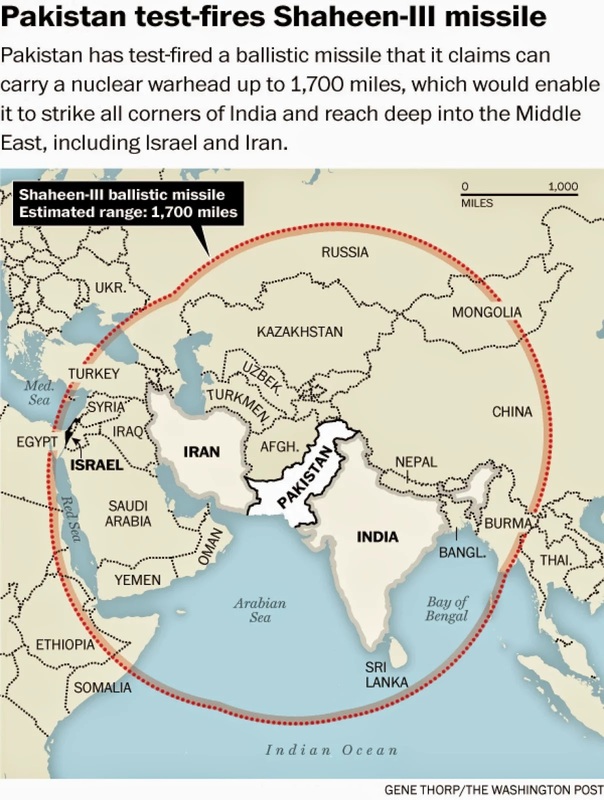 After evaluating all these factors, any national strategist would suggest a nuclear program for Pakistan, and that is precisely what the state did. There has been news in an Israeli newspaper, Haaretz, that Pakistan is more of a threat to Israel than Iran. This was published on 20 May 2018. The grounds for this allegation have been identified as Pakistan’s growing arsenal and other similar reasons which have always been popular in the western policy circles. Iran, a conventional enemy, one with which there have been numerous conflicts, has been ruled out as a threat to Israel since they do not have a nuclear arsenal. However, many concrete facts have been ignored in this propagating debate. For instance, Pakistan has had no wars with Israel. Both the states have never even been on the verge of an all-out war. The states have never even had a conflict that could’ve led to war. Although Iran does not have a nuclear arsenal at present that did not stop the states from indulging into conflicts before and although initiating a nuclear war might not be a possibility for Iran but a conventional war is very much within their skill set. Pakistan is already indulged in a two-front defense strategy on its eastern and western borders. The Taliban threat from the west and the ever-present Indian threat from the east, particularly along the line of control is already consuming most of the state’s energy, attention, and resources. Under such circumstances, jumping into any venture as far as Israel without any apparent or direct conflict seems like an amateur move which is not expected from Pakistan whatsoever. If any linkages are being made based on the fact that Iran and Israel have cordial ties, then they are weak, to begin with. On the other hand, India and Iran have more than friendly ties and India’s nuclear arsenal is multiplying with the US help. However, this does not mean that just because India is a nuclear state and a friend of Iran, it will be inclined to attack Israel. Pakistan’s nuclear program is solely for the safety and security of the nation against any external threat. The program is not for the state to pick and choose enemies and start non-existing conflicts. That is not how Pakistan intends to use its resources and deviate from the real agenda which is to protect the state of Pakistan. The only condition under which Pakistan would use its nuclear weapons against any state will be if they choose to attack the territory of Pakistan in a nuclear or non-nuclear manner. The state has been clear about this from the very beginning of its nuclear era.